Have you ever wondered how fast your reactions are? Do you know why the 20p is shaped the way it is? Can you tell the difference between blue and yellow? 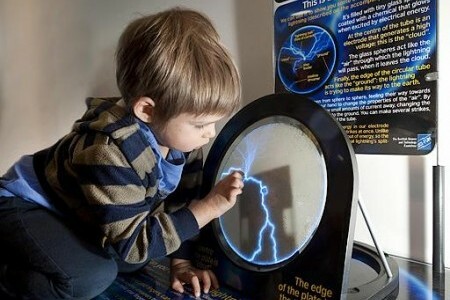 Find the answers to these and many more questions at the mobile hands-on science centre from the University of Edinburgh. It features more than fifty incredible activities involving ideas from across the sciences. You can control lightning, see a hole in your hand, solve a crime, become part of a human circuit and then relax in a spinning chair. Pop in for a moment and stay for hours! This is a free event. The venue has wheelchair access and wheelchair accessible toilets.